Designer Richard Hutten rest in his This Bucket Chair in the HAKA building Rotterdam. Lensvelt will bring two top designers from Rotterdam – Joep van Lieshout and Richard Hutten – together on one location in Rotterdam: the industrial HAKA building during Object Rotterdam 2018. The sturdy monument in the middle of the bustling Vierhaven area, where both designers also have their studio, lends itself perfectly to their furniture. 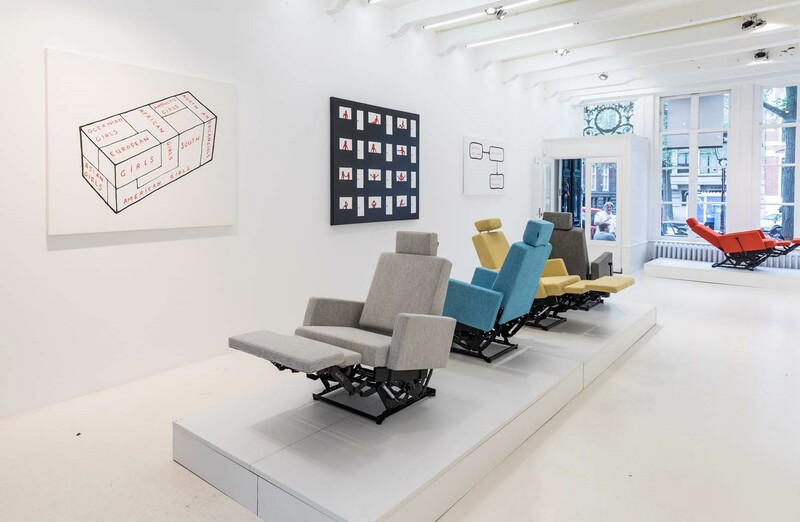 With, amongst others, the new Bucket Chair by Richard Hutten and a series of lounge armchairs by Atelier van Lieshout (AVL), furniture label and contract manufacturer Lensvelt shows that (interior) architects can realize the best interiors using their products. 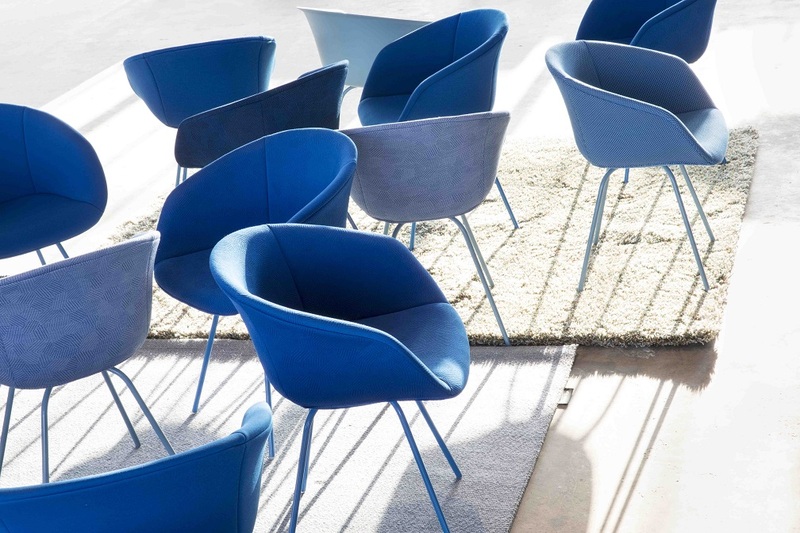 The This Bucket Chair, developed by Lensvelt together with Hutten, is an instant classic. 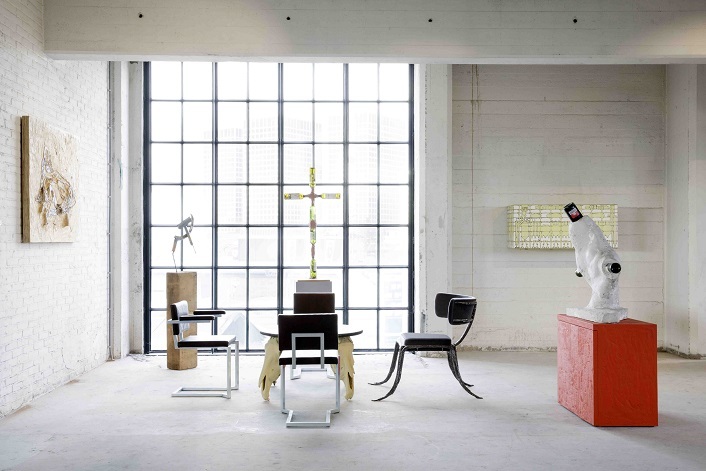 The chair derives its name from the archetype, but with a new appearance. With the This Bucket Chair Hutten has extended the high-quality family of chairs in the Lensvelt collection with a new member that only possesses attractive features: it is elegant, functional, circular, affordable, aesthetic, ingenious, flexible, versatile, and … extremely comfortable. This Bucket Chair in the HAKA building Rotterdam. 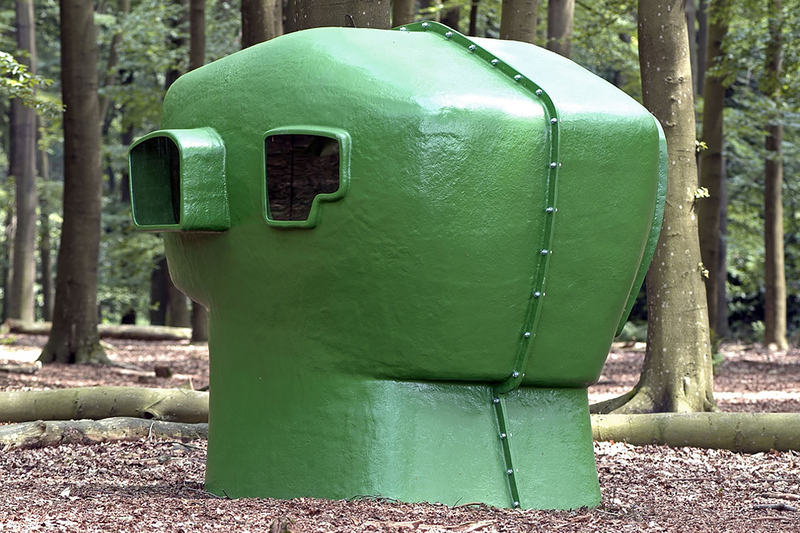 Lensvelt will also shine the spotlight on a series of remarkable chairs by Atelier van Lieshout (AVL). The AVL Office Chair upholstered in cowhide is not only bestseller in the collection, it is also the alternative to all existing ugly, over-designed and multi-colored office chairs. AVL designed the original in 2004 for the office building of insurance company Interpolis in Tilburg. Since then, this chair has been sat on by Barack Obama at the 2014 Nuclear Security Summit in The Hague and by all the world leaders at the 2016 Eurotop in Amsterdam. The stackable conference chair: the AVL Koker Chair, in soft Old Saddle leather and with or without armrests, fits perfectly with the AVL Office Chair developed for Interpolis. The AVL Cathedra Lounger is also a variant of the AVL Office Chair. The low and wide luxury armchair with armrests and a six-toed foot on round, metal discs, with matching Hocker, has been specifically developed for reception and lobby areas. 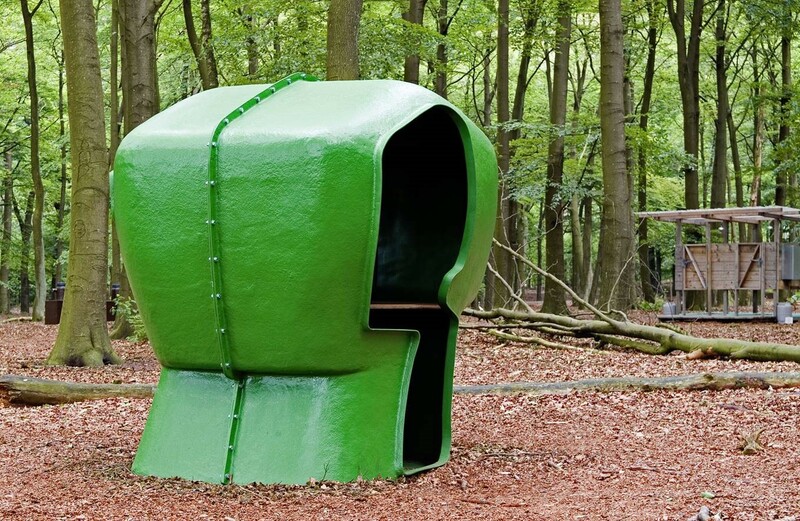 The AVL Koker by Atelier van Lieshout in a setting of artworks in the HAKA building Rotterdam. There is another armchair that gives color to this gray concrete building: the red Lazy Modernist. Based on an old Chinese Lazy Boy found by Joep van Lieshout on the side of the street, left as garbage. He removed the upholstery and provided the frame with new foam. Last year Lensvelt launched the upholstered version, including mobile elements and a level to kick back into the relax position. Finally, in order to be able to withdraw from the crowds and the large amount of design in the HAKA building, there is the Sensory Deprivation Skull. A unit that was once introduced as a response to the New Way of Working where people need spaces to work in a concentrated way. Whomever wants to give their own skull a respite in the coming days, can enter the eye-catching orange Skull, pull the doors closed and come to rest. Everyone is welcome to experience during Object Rotterdam what Lensvelt has in-house to make an office or workplace distinctive, pleasant and comfortable. Lensvelt at Object Rotterdam, 9 to 11 February 2018, HAKA building, Vierhavensstraat 38-42 Rotterdam. Open from 11-19 hours.